July was full and enjoyable. It kicked off with the studio’s summer vacation in the Pacific Northwest, mostly walking in the mountains, and substantial time with family and close friends. Now we’re back in action and grateful for several things we had a hand in during July. Lyric Morris-Latchaw in front of the banner she for All Thing New Festival. Mandy Smith, head pastor at University Christian Church (UCC), had a wild idea while visiting the Oratory at Grailville. She wondered out loud, “What if we had a barn dance?” The Oratory is a former barn that was converted into a sacred space by William Schickel (see June recap for more on Schickel). 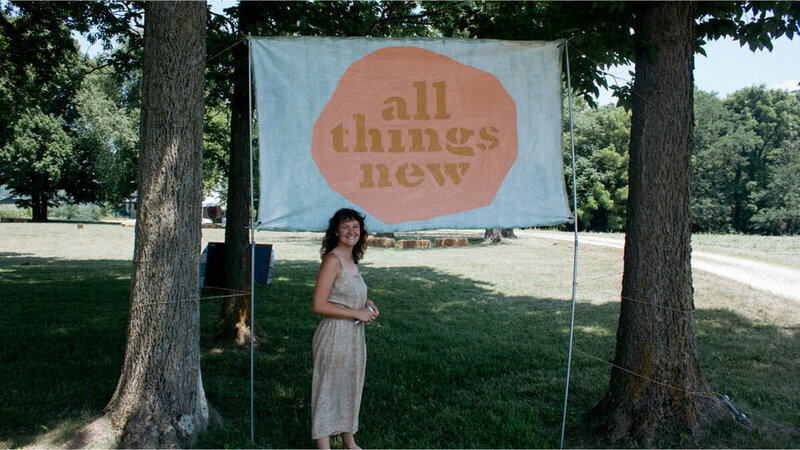 One thing led to another and All Things New Festival was conceived by a small group of people over several meetings, often in a church basement. D.J., being a member of UCC, was asked to design the Brand Identity for the event. The abstract shape (thing) behind the name represents “things,” from All Things New. It’s a simple mark, but the intention was for it to be easily replicated, as displayed above by the banner created by Lyric Morris-Latchaw. In May we shared about a Mindful Brand Workshop with a local custom home builder. Throughout June and July, we used the information gained from that workshop to design the Brand Identity. Steve Scroggins, the owner of Scroggins, is known for his bow ties. Hence the shape of the logo mark. We tried not to go too literal. That’s why it's more abstract, acting more as an identifier and reminder of Scroggins' underlying collaborative process. We’re still working with Scroggins on their website and will share more after it's finished. Original mockup of an early version of Chatype. Sometimes a side project takes on a life of its own, even beyond the project’s lifetime. That’s the case with Chatype, the first custom-designed municipal typeface in the United States. D.J. worked on the project in 2012/2013 while living in Chattanooga, Tennessee. He and his former business partner, Jonathan Mansfield, teamed up with local type designers, Robbie de Villiers and Jeremy Dooley to launch the project. Just this month, some five years later, the typeface was highlighted at London’s Festival of Architecture in a City Identities Exhibition curated by Place Press. It was a delightful and unexpected surprise, to say the least. 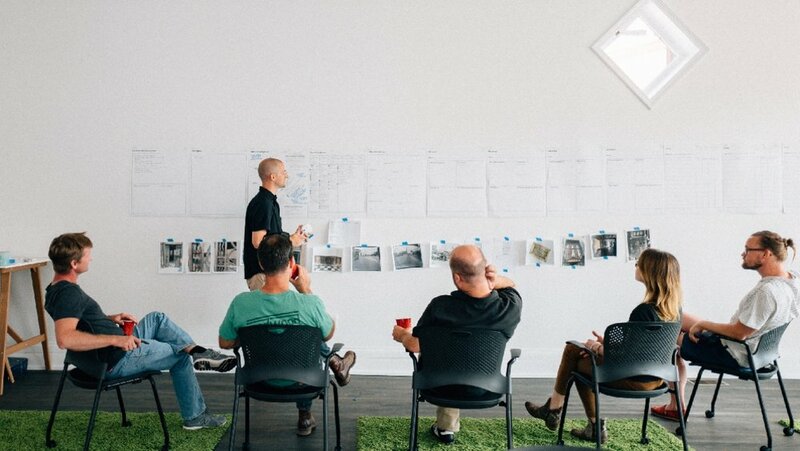 Earlier in June, we kicked off a Brand Identity Design project for a local restaurant with Mindful Brand Workshop. More than a logo, a Brand Identity includes all of the elements that communicate the most authentic self of a company, organization, or person. 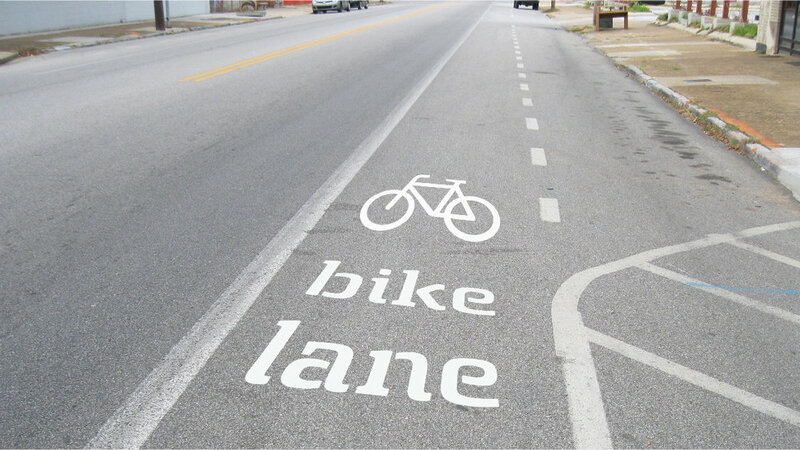 Often times, it’s easier to create a visual or verbal facade with cool graphics and words that lack any real connection to a core meaning or intention. We’re not so good at making things up. That’s why the Mindful Brand Workshop is at the very beginning of the Brand Identity process. It’s where we mine for the gold, the true self, within our client partners. That’s precisely why the workshop with the restaurant was so exciting. Going into it, there was some pressure on the client team to create a fancier restaurant from their previous ventures. After all, the new spot is in an old elegant bank building. However, after four hours of facilitated conversations, one thing was for sure, fancy’s not their thing. That’s not to say they’re cheap and messy. It’s just that white table clothes and fancy-pants place settings would cramp their lovely, every day, personalities. Likewise, similar considerations will apply to their future name, logo, menus, signage, aprons, decorations, etc. It’s too soon to show anything yet, but stay tuned for progress on the Brand Identity in the coming months.